Apnea, or freediving, is a form of underwater breath-hold diving that doesn’t involve the use of scuba or other external breathing devices. Many people freedive: recreational snorkelers, spearfishermen, underwater photographers and those who wish to pursue competition freediving. Freediving is a great way to improve your comfort, confidence and safety in the water. What’s more, you can gain the skills you need to dive with marine life such as dolphins, whales and turtles, which tend to interact more with freedivers than scuba divers. The AFA has an expanding network of affiliated clubs around the country. 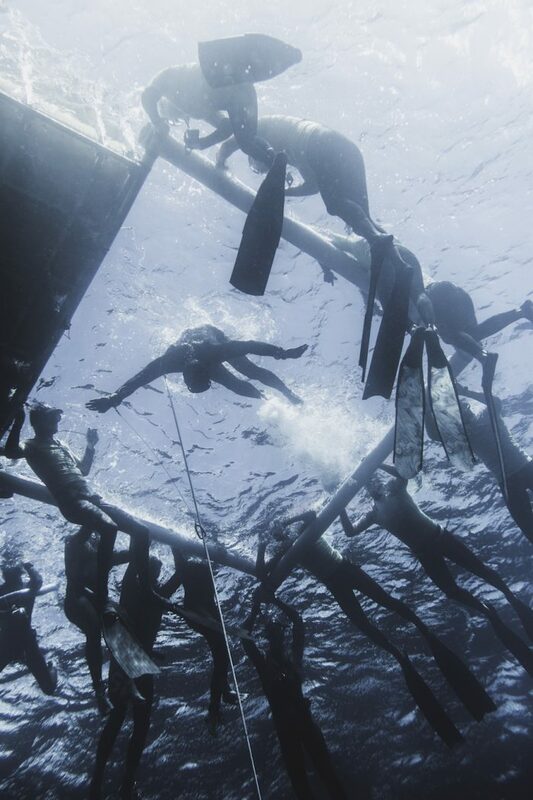 AFA clubs provide a safe and fun environment to train for freediving. Check out our clubs page to find the one closest to you. It doesn’t matter how old you are, or whether you can hold your breath for five seconds or five minutes: freediving is for everyone who loves the water! Contrary to popular belief, the risks in freediving can be well managed and mitigated, giving a high degree of athlete safety when proper procedures are adhered to. There are stringent safety protocols which must always be followed, and when this is done correctly there’s rarely an incident. The golden rule of the sport is followed by newcomers to world record holders alike: never, ever dive alone – athletes must have active supervision on every dive.